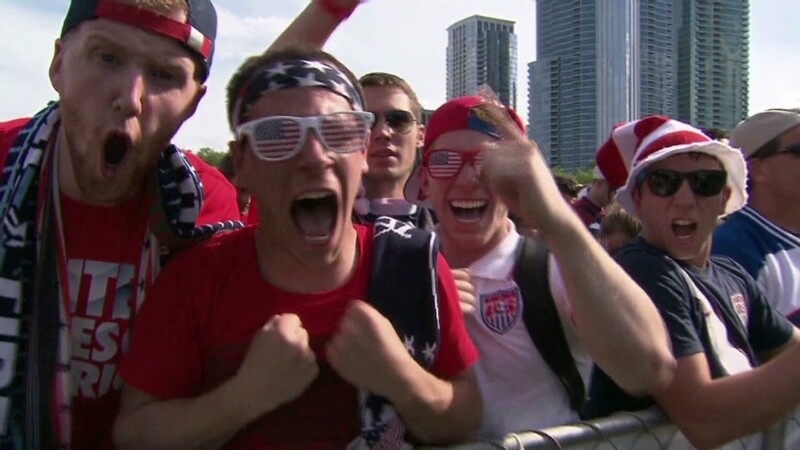 If the World Cup were played in the stock market instead of on the soccer field, the U.S. would be winning big time. The Americans may be an underdog in the World Cup, but the U.S. stock market has been the best bet for investors since the global soccer tournament kicked off. The S&P 500 has risen 1.4% since the World Cup started on June 12, making it the best performer among the 16 countries that survived the first round of play. Granted, there's no real connection between soccer and stocks. But in the spirit of a little friendly competition, here's how the World Cup nations stack up in terms of stock market performance since the games started. Uruguay is the second best performing market in the group of 16. The Bolsa de Valores de Montevideo is lightly traded and consists mainly of fixed-income assets, so it's not exactly a fair comparison. Still, the BVM has gained 0.2% since June 12, giving it an edge over its larger rivals. The Mexican stock market is in third place. The Bolsa Mexicana de Valores is basically unchanged since the games started. All of the remaining markets are in negative territory...some more than others. Countries with relatively modest losses include: Chile (-0.1%), Algeria (-0.3%) and Colombia (-0.3%). The Netherlands and Belgium are tied, with both markets down 0.9%. Next on the list are Nigeria (-1.2%), Germany (-1.3%), Switzerland (-1.5%) and France (-2.5%). There hasn't been much of a bounce for the host nation. Brazil's benchmark Bovespa index is down 2.9% since Latin America's largest economy welcomed soccer fans from around the world. Still, Brazilian stocks have been on a tear over the past few months. After a rough start to the year, the Bovespa has gained more than 18% since bottoming in March. Stocks in Argentina have had a rough few weeks as well. 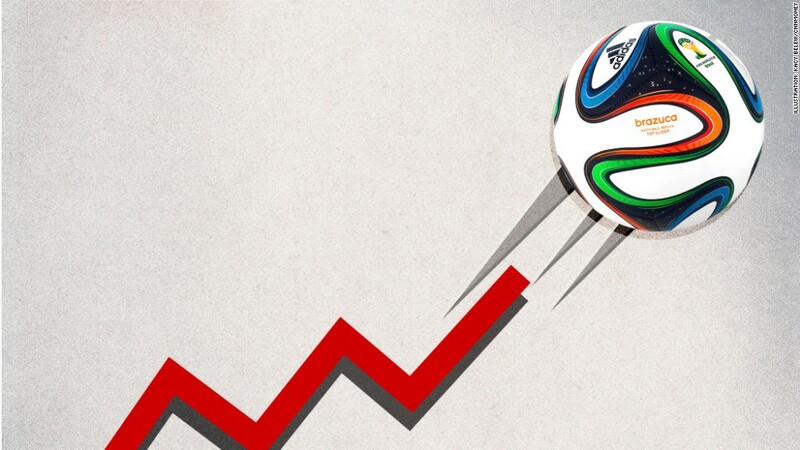 The Merval index in Buenos Aires has dropped 3% since Lionel Messi and crew arrived in Brazil. Investors in Argentina were rattled by default fears after a U.S. court ruled in favor of creditors in a dispute with the government of Cristina Fernández de Kirchner. But the stock market in Argentina is one of the top performing global markets so far this year. Greece, which had its own brush with default a few years ago, is one of the worst performers. The Athens stock exchange is down 6.5%. The stock market in Costa Rica (-7.4%) is in last place, but it's also one of the smallest. There are just 11 companies listed on the benchmark exchange.